This summer we celebrated the 10th anniversary of District of Columbia v Heller, wherein the Supreme Court ruled that individuals have the right to keep and bear arms for self-protection. It was also the 8th anniversary of the Supreme Court case of McDonald v Chicago, incorporating the Heller ruling to the states, which means that all the states follow the same federal law. 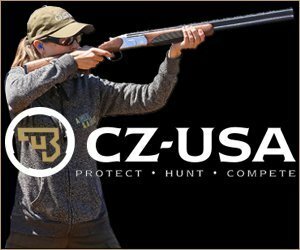 And, the 7th anniversary of Ezell v Chicago, which was settled in the Seventh Circuit of the US Court of Appeals, and required Chicago to allow public access shooting ranges. After McDonald, Chicago reluctantly offered permits for the individual ownership of guns in the home. One requirement to get the permit was a prescribed amount of training. However, the city forbade shooting ranges within the city limits. Rhonda Ezell was a young woman who had been the victim of crime, and very much wanted to have a gun in her home for protection. Like any responsible person, she wanted to know as much as possible about both guns and the laws concerning them. What she learned was disheartening. To obtain a permit, a person was required to take a prescribed number of hours of training. However, the city did not allow shooting ranges that were open to the public. Therefore, a person had to get training that was not readily available. It also meant that even if someone was able to get the required training, they would still not have a place they could easily get to in order to maintain or increase their proficiency. Chicago argued that prohibiting ranges was not eliminating its citizens’ ability to qualify for permits, because they could go to ranges in other areas. These other towns were several miles away, not accessible to people who did not have private transportation. Ultimately, the Seventh Circuit did not agree with the city’s claim. The city ordinance now allows for the building and utilization of shooting ranges. However, there were severe zoning and construction restrictions that resulted in the city’s desired result. To date there is no public-access shooting range. It has been seven years of quagmire. The lawmakers did not stop with creating prohibitive building requirements. They also included in the city regulations on ranges a prohibition of anyone under 18. Their argument was that no one under 18 was allowed to purchase or own a gun. They ignored the fact that youths and teenagers could be more safely taught how to handle a firearm in the controlled environment of a range. Back in court, on January 18, 2017, the 7th Circuit once again ruled against Chicago. Because of Ezell II, some youngsters under 18 will be able to be taught at a shooting range. Should there ever be one. Since her first circuit court success, Rhonda has been very active in Second Amendment causes. 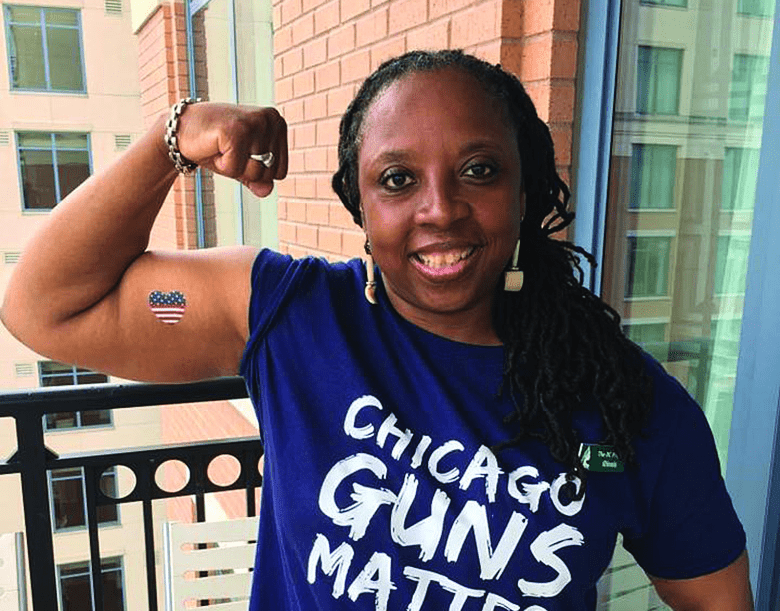 She is a member of many 2A groups, and is co-founder and president of Chicago Guns Matter. She was recently in the nation’s capital with the DC Project. Although she had tried for weeks to get an appointment to talk with her congressman, she had not gotten a reply. Undeterred, early in the morning she and another Illinois team member, Lori Ann Blackwell, went to the congressman’s office. They were hoping to speak to someone on his staff or at least just drop off the information they had. They spoke to a staffer, gave her the material, and left. “Seconds later a woman walked out of the door and I asked her if she was the Chief of Staff, “ Rhonda wrote on Facebook, “she replied yes. I then asked her if we could speak with her, she replied give me a minute, I have to go to the restroom, I don’t even have on any makeup yet, that’s just how early we were…” The woman told them to have a seat inside, which they gladly did. They had been talking with the Chief of Staff for almost an hour when she announced that the congressman had just come through the door. He in turn was happy to spend time to get to know two constituents who are gun owners. The mission was accomplished, and their day in the Capitol was off to a great start. As often happens to people who try to deal with their government on any level, Rhonda’s original simple solution to feeling threatened had become a consuming passion against injustice. All she had wanted was to legally get a gun. She ended up with years in courts, and became a powerful orator for our Constitutionally-protected rights. She has gotten the training she needs, not only to pass the requirements Chicago places on its permit holders, but also to become a proficient marksman. She speaks to gun classes, at rallies, and conferences. Within a short time of returning from her Washington trip, she participated in the March for Our Rights Chicago, giving a powerful speech. She told the crowd the history of gun rights in Illinois, of the people whose experiences, like hers, shaped the laws of the state and city. She spoke of the future that would grow on the foundation laid by those who came before. Otis McDonald, who brought the individual right to keep and bear arms to the states; Mary Shepard, who brought concealed carry to Illinois; herself, who will be responsible for public-use shooting ranges in the city. She honored, also, the people like the Rowes, and groups like Illinois State Rifle Association who have worked for decades to change laws, holding events like IGOLD (Illinois Gun Owners Lobby Day). Changing minds and changing laws. She spoke about the Constitution that is for everyone. “There is no color in the Constitution. It is there for all of us.” It was a stirring speech, it was a positive speech. It was about how we can each do more to make everyone free. There was passion, but no hate. It was about union. Still, the laws are slow to change. There are obstructions at every turn. No matter how many court battles are won, there does not seem to be an acknowledgement of defeat. Just a new tack, a new obstacle. The city seems to have an unending number of improper laws to enact that must be fought. What happens to those who do not have the stamina or the resources to fight against the bad laws? What is the effect on a poor community if there is no way to safely learn to use firearms? If a permit to own a firearm is very expensive and overly difficult to achieve? If there is no way to protect your family, yourself? It is not like the harsh regulations and impossible conditions are contributing to a safe environment. Chicago’s violence is well-known. So what about those who are vulnerable, but cannot afford to travel long distances to find a range? They have been abandoned. We have a right to life; we have a right to defend that life and the lives of those around us. Therefore, we have a right to the means to do so. If we are denied the means to protect our life, we are denied life itself. For too long in Chicago the right to keep and bear arms has been delayed, and, therefore, denied.